Fennel usually tastes like anise, but if it’s slowly roasted in the oven and caramelized, it takes on a much richer flavor that’s just delicious. Cast-Iron Skillet Roasted Fennel with Goat Cheese is the perfect side to go with chicken, fish, or pork. 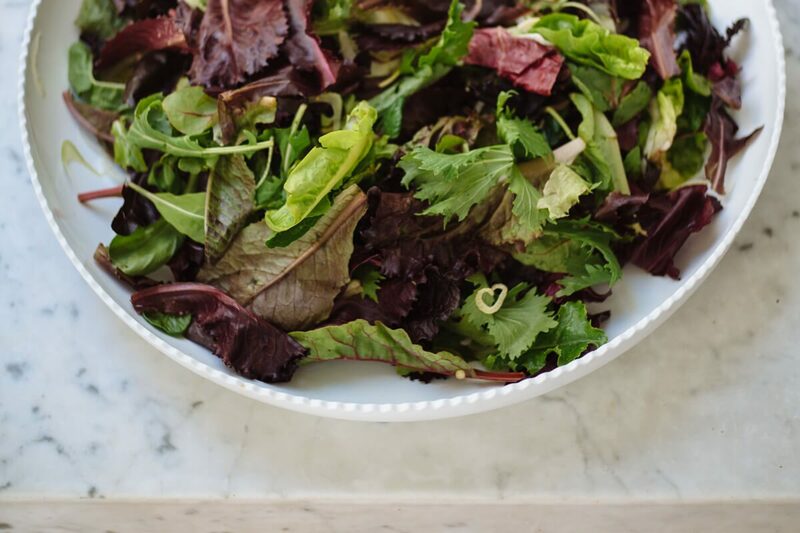 Top it with farm fresh goat cheese and we’ll eat it any day! We paired this with our Firestone Walker Brewing Company Barrelworks Bretta Rosé Beer. We found this beautiful fennel from Eatwell farms at the Ferry Plaza farmer’s market. This recipe really demonstrates how sometimes the simplest things are the most satisfying. 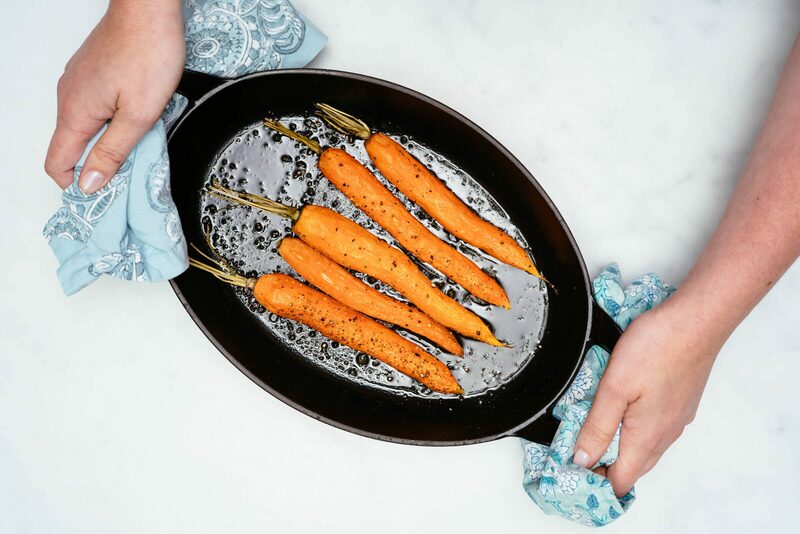 We cut our fennel in ½ inch slices, tossed it with olive oil, salt, and pepper, and roasted it in a cast iron skillet until it was soft and caramelized. Use a large chef knife to cut the fennel, as it can be pretty tough. We used this beautiful knife from our favorite knife shop, Town Cutler c/o. Then we crumbled Tomales Farmstead Creamery Kenne goat milk cheese c/o, and put it back in the oven to warm through. We recommend using a cast-iron pan like this or this, but if you don’t have one you could also use a quarter sheet pan. 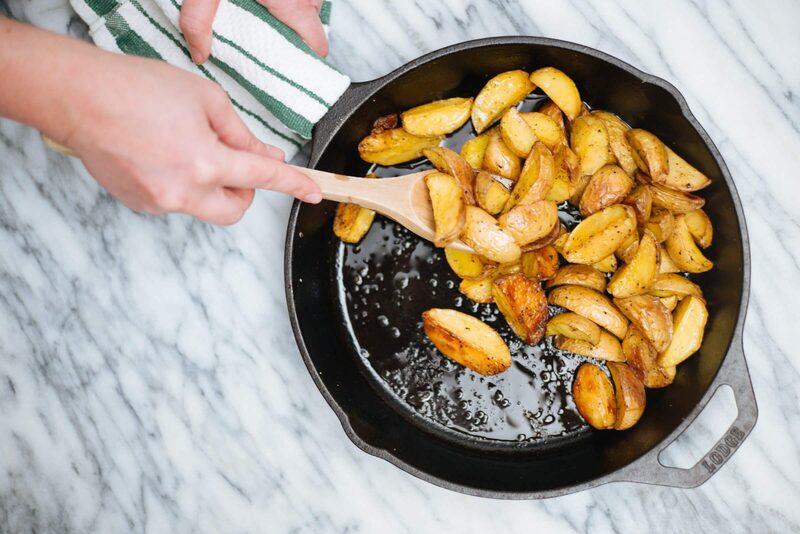 If you’re looking for other easy sides, try our cast-iron skillet roasted potatoes recipe here. Preheat oven to 350 degrees. Wash fennel bulbs under running water and trim off the very end. Cut the fennel into ½ inch slices, being careful that they don’t fall apart. 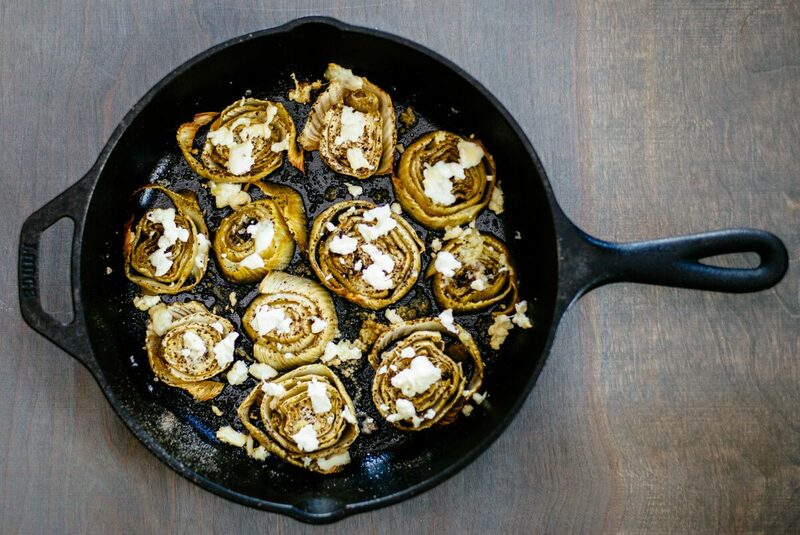 Arrange the fennel slices in a single layer in the bottom of a cast iron skillet. Drizzle liberally with olive oil and then season with salt and pepper. Toss them around a bit to coat evenly, being careful not to break them apart. Put in the oven and roast for 25-30 minutes. When the timer goes off, check to see if they are tender. If they need more time, test again at 5 minute increments. When the fennel is tender remove from the oven and sprinkle with crumbled goat cheese. Return to the oven for about 5 minutes to warm the goat cheese, then serve.